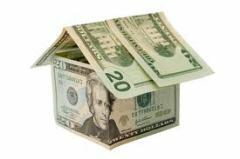 Are You Entitled to Foreclosure Funds? With the value of homes rising in Miami, some folks could be due surplus money of a home that’s foreclosed, but may not be aware of it. Home owners who are being foreclosed sometimes get so frustrated that they ignore the mail that comes their way. Is that you? Don’t! There are cases of foreclosures selling for more than the bank’s judgment amount. And in that case, barring any other creditors, the homeowner may be entitled to funds. In the Miami-Dade area home prices have been steadily rising for a few years now. So the idea that there could be surplus money after auction is not totally wacky. Of course, legal fees will eat into that surplus, but legal fees are included in the final judgment amount. If you’re being foreclosed, keep a close eye on what’s going on and speak to your attorney about possibly getting funds due you after the auction. This entry was posted on Monday, September 8th, 2014 at 1:21 pm	and is filed under Real Estate Chatter. You can follow any responses to this entry through the RSS 2.0 feed. Both comments and pings are currently closed.